LOCATION.--Lat 42°04'20", long 77°17'56" referenced to North American Datum of 1983, Steuben County, NY, Hydrologic Unit 02050104, on right bank 500 ft downstream from bridge on State Highway 417, 200 ft upstream from Elk Creek, and 1.7 mi southwest of South Addison. PERIOD OF RECORD.--Annual maximum only--1989-2000; October 2000 to current year. REVISIONS HISTORY.--WDR NY-01-3: 1991 (M). GAGE.--Water-stage recorder. 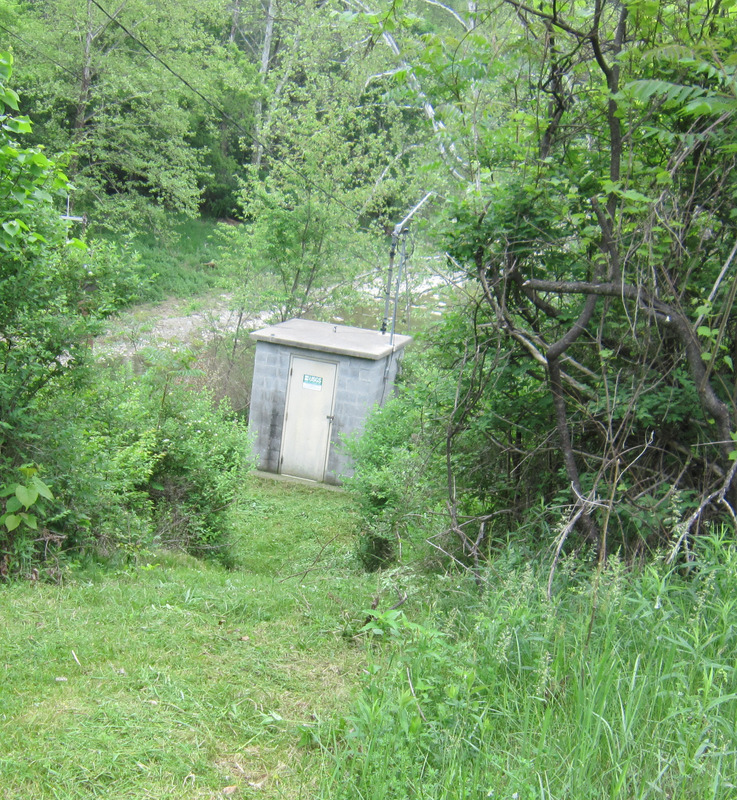 Datum of gage is 1,078.95 ft above NGVD of 1929 (corrected) and 1,078.45 ft above NAVD of 1988 (VERTCON). REMARKS.--Water Years 2014-17: Records good except those for estimated daily discharges, which are fair. Water Year 2018: Records fair except those for estimated daily discharges, which are poor. EXTREMES FOR PERIOD OF RECORD.--Maximum discharge, 17,800 ft³/s, Sept. 9, 2004, gage height, 13.54 ft, from floodmark, from rating curve extended above 11,000 ft³/s on basis of slope-area measurement at gage height 12.62 ft; minimum discharge, 0.02 ft³/s, Aug 27, 28, 29, 2005.